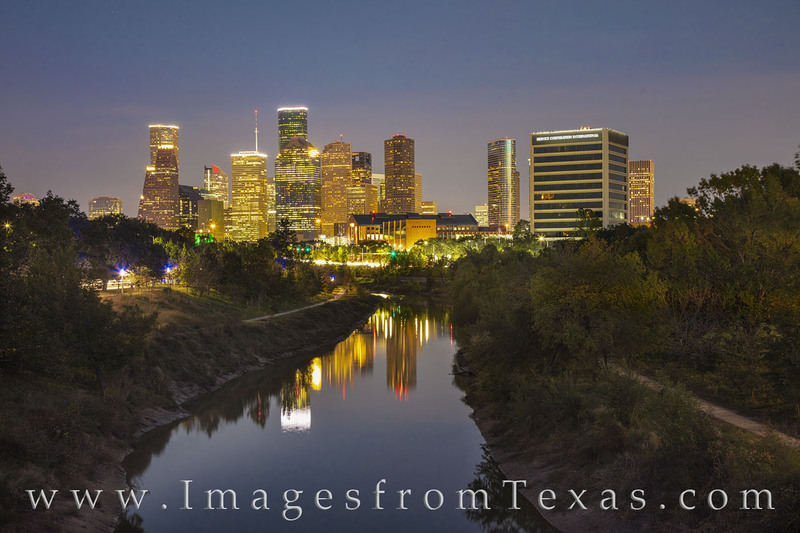 From a pedestrian bridge connecting Allen Parkway and Memorial Parkway that spans Buffalo Bayou, this is the view of downtown Houston and the skyline at night. The bulidings offer nice reflections on a calm evening, and folks were still out walking the trails in this little oasis close to the city. Photo © copyright by Rob Greebon.